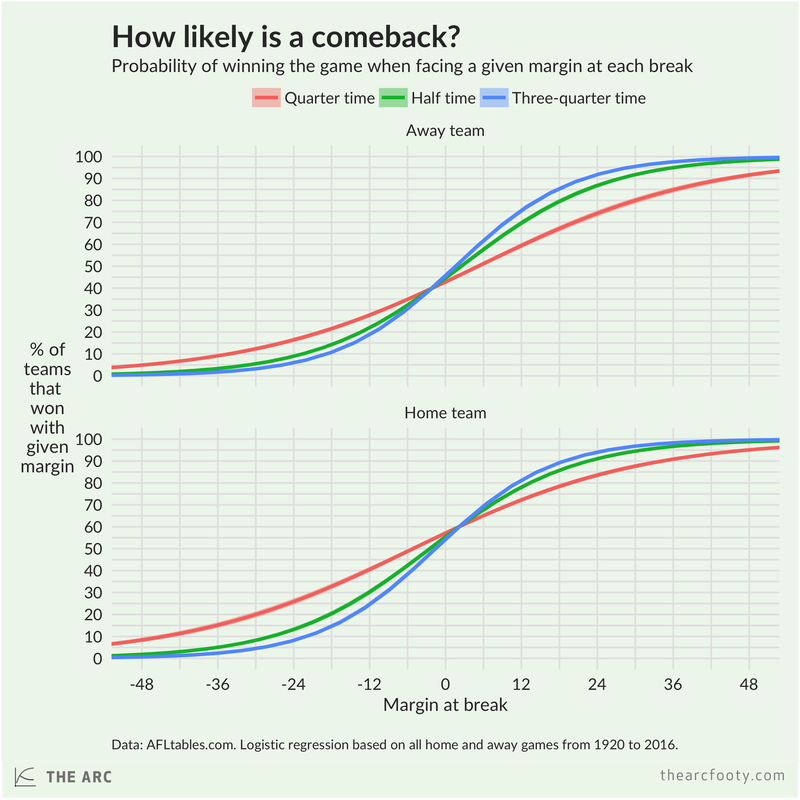 You can use the graphs on this page to figure out how likely a team is to win, or lose, based on their margin at quarter time, half time, or three-quarter time. The graphs are explained in this post. 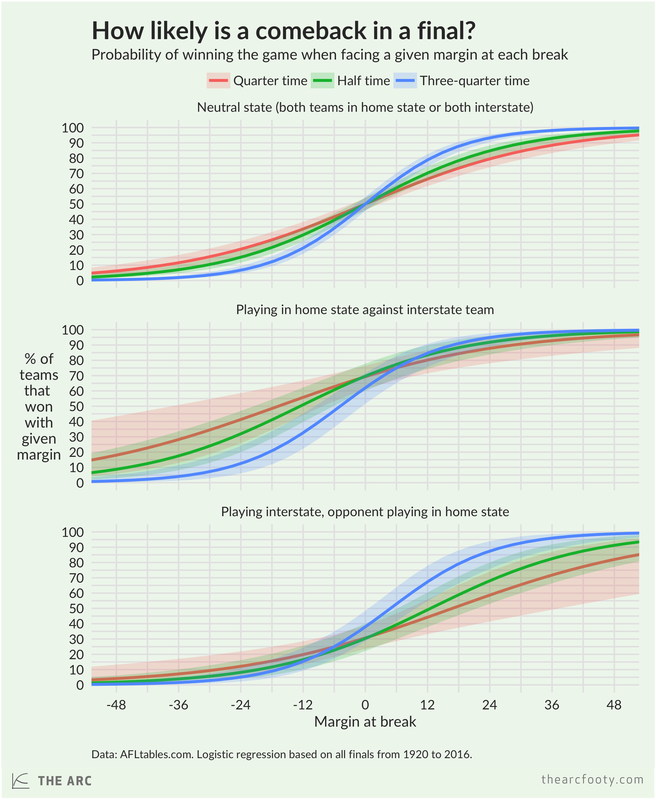 Bear in mind that these estimates don’t take into account the teams’ quality or the pre-game win probabilities.